Every year, in a quest to shape up the young minds with worldly wisdom, Thomas Cook plans an initiative – Travel Quest, a quiz on worldly affairs. It gives the children immense exposure about the world that we live in. It teaches them about cultures, traditions and exposes them to infinite possibilities. This not only helps in building their characters but also inculcates social skills in them. Conducted in 16 cities, Travel Quest goes from school to school in search of bright young minds. But what is the motive of Travel Quest? Travelling at a young age gives you a kind of exposure that helps you grow as a person. It is an experience that is extremely enriching and pretty much irreplaceable. 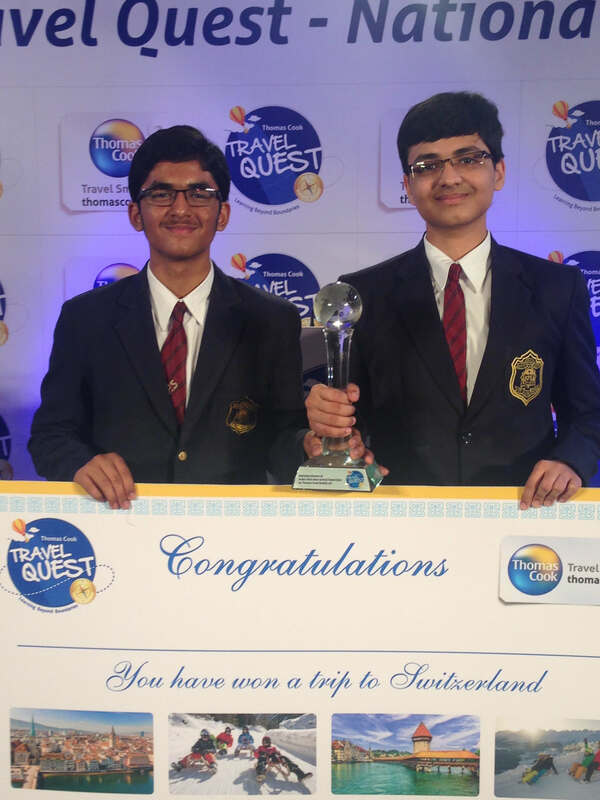 And with their venture ‘Travel Quest’, Thomas Cook is looking to broaden the horizons of many adolescents. What better way for the children to be motivated and learn more about the world they live in, than some exciting questions about countries, their diverse history, geography and cultures…..
And that’s everything that Travel Quest stands for. Imagine the children brushing up on their geography, and then being rewarded with a paid trip to some of those marvellous countries they studied about! This year some of the most brilliant schools made it to the Zonal finals. Bhavan’s Vidya Mandir from Eroor, Cambridge Court High School from Jaipur, Bishop’s School from Pune & Krishna Public School from Raipur outshone the rest, making it to the National level. But which team would emerge as winners and win a fantastic trip to Switzerland? After a nail biting session of challenging questions, the team from Raipur was declared as the winner. But every team was rewarded. The city level winners won themselves a fully paid trip to Singapore, the Lions’ City with cosmopolitan culture sponsored by The Singapore Tourism Board. The majestic view from the rooftops of Marina Bay, or the incredible shopping sessions from the famous Haji Lane, or even the super trees in Gardens by the Bay, Singapore is a country that has a lot to offer. The fast paced capital Singapore City reinvents itself every year. And it is a great privilege indeed for the students to witness a progressive country of culture and commerce. The Zonal Winners enjoyed a holiday at Picardy, where the children got a taste of authentic French life, all thanks to Picardy Tourism. This historic place is known for its gothic cathedrals, beautiful castles, and sandy beaches. 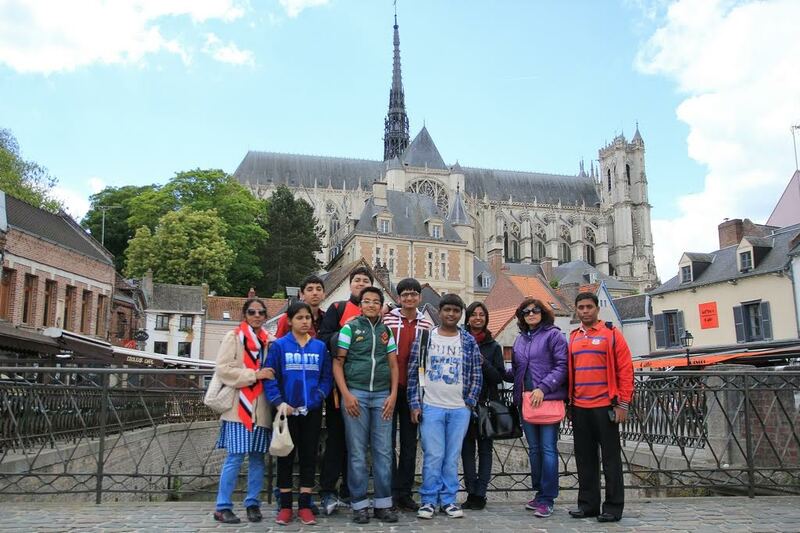 The charm of old architecture, chateaux, churches and museums reflects the rich history of this region & this proved to be a fantastic opportunity for these lucky kids to take home an experience of a lifetime. But the icing on the cake for the National Level Winners was a trip to Switzerland, to witness the majestic Alps, by the Switzerland Tourism Board. What an amazing opportunity for the winners to see one of the most pristine locations in the world. A real treat for the palate, where wining and dining to some delicious cheese and chocolates can’t get any better! Green, mountainous and soothingly beautiful, the Switzerland boasts of provincial, laid back air that is infectious. For the teams that didn’t make it, there’s always a second chance since Thomas Cook is coming up with Season 2 shortly! As for the winners, they couldn’t have been more overwhelmed. This experience will prove to be far more valuable than any other reward. It will make these intelligent children evolve and expand their horizons! And that’s exactly what Travel Quest aims for. You can catch the gripping quiz, where the children really pushed their boundaries and emerged as winners. Watch the extremely interesting National level round here. Travel Quest, an initiative by Thomas Cook. It teaches children about cultures, traditions and exposes them to infinite possibilities.